The Ekco Glide-S Sliding Door system offers endless possibilities to create that modern open plan living. The Glide-S mechanism lifts the door to deliver smooth effortless operation and performance. 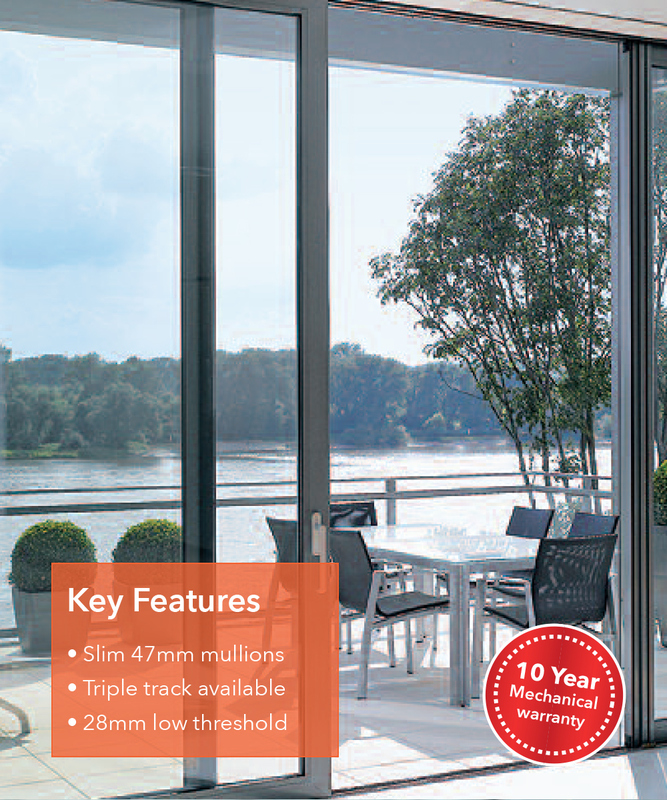 The Glide-S redefines expectation of patio doors offering triple, double & mono track possibilities & is the only system that uses stainless steel tracks as standard. Capable of panel weights up to 400kg and with excellent u values with glass thickness up to 42mm will meet with the most demanding of specifications. The Glide-S has exceptional structural integrity capable of spanning up to 6.7m wide x 3.2m high in just two panels, this system pushes the boundaries in Architectural design. Designed & manufactured in UK. a standard Ekco Glide-S can be manufactured & delivered in 6 – 8 weeks.